The minutes from the March 27, 2019 SOA Council Meeting are now available on the website. 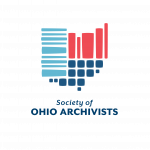 Please visit http://www.ohioarchivists.org/council_meeting_minutes/ to learn more.about what was discussed. This entry was posted in SOA Council on April 2, 2019 by Sherri Goudy.